Commute Solutions is a “one-stop” transportation resource for Central Texans. Our mission is to promote sustainable commuting options that reduce traffic and improve mobility. We encourage alternative travel options like carpools, vanpools, transit, bicycling, teleworking, and walking. We work to help you learn about your regional mobility choices no matter where you live or what your needs are. By reducing the amount of single-occupant vehicle trips, sustainable transportation can save you money and protect our environment. Sustainable commuting reduces traffic congestion, benefits economic development, and improves quality of life for all. 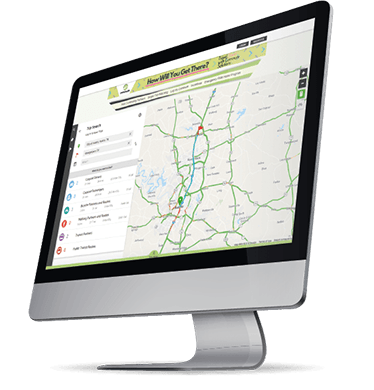 Commute Solutions resources serve the citizens and businesses of Bastrop, Blanco, Burnet, Caldwell, Fayette, Hays, Lee, Llano, Travis, and Williamson counties. Find a carpool buddy, plan a trip by train or bus, map out a bike or walk route, and more at MyCommuteSolutions.com. Log your commute to see the amount of fuel saved, calories burned, and pollution reduced. Incentives are also offered such as contests and rewards for reaching milestones. The service is FREE to register and use! Commute Solutions meets with its partners, or organizations committed to the mission of Commute Solutions, to work together in implementing our strategies. If you are interested in partnering with the page please contact us. The Regional TDM Coordinating Committee is organized by the Capital Area Council of Governments (CAPCOG) to coordinate TDM activities within the region and to assist, advise, and, if appropriate, provide material support for the Commute Solutions program. The Committee seeks to improve transportation outcomes in the region by changing personal transportation decisions.